HOL Ravenclaw • View topic - who is all excited for the next school year? who is all excited for the next school year? Hello. This topic is for discussion (if it's allowed). i know this term only finished not long ago, but I think I'm overly excited for the next year already. Everyone in Ravenclaw is so great and friendly. Before becoming a student on HOL, I would try to imagine that real life school was Hogwarts. But being on HOL is a lot more fun. This past year was awesome and just can't wait for the fall term. Who is as excited and loving HOL just as much? Re: who is all excited for the next school year? I am also very excited for the upcoming year, Alex! This year was a bore for me because I had so many RL things going on. Next year, I'll be able to commit even more to everything I want to do. I used to imagine the same thing about RL school being like Hogwarts. I would pretend my math classes were Arithmancy and my science classes were Herbology and Potions. Dance would be a mixture of Flying and Dueling. Latin was Charms. It definitely made RL school more fun, although I'm a fan of school in general. I agree HOL school is better though. Unlike RL school. I have made amazing friends on here that make the experience even greater! I am very happy to have found HOL, and each new year brings about new people, new adventures and activities, and new classes to take (or dread if you're in OWLs which I have to repeat again this year since I only submitted two). But don't forget all the summer activities that are going to be coming up as well! There's always something to do! This last year on HOL has been amazing, and I've met so many people who've already become really good friends who I wouldn't miss for the world! I can't wait to see what the next year will bring. I am of course very curious to see what classes will be offered for the coming two terms - I've become slightly obsessed with earning points, so I intend to take the max amount of classes I'm allowed both terms and see if I can beat my own score from this year. I hope I will! But even more than that I hope I will get to learn something interesting. I also think it will be fun to see what activities will run in the next year. There are so many great minds here at HOL and I bet they will be coming up with things I couldn't even have thought of! If I remember it I will want to reflect next year on what actually did end up happening. On my way to breaking the Roost! Yes, the summer activities are going to be great. Been checking every day to see any news on when the Summer Quidditch League will be starting. I agree Gail, met soooo many people this year on HOL in Ravenclaw and IRC. Everyone on here are nice. And nothing feels better than doing well in classes. I'm already thinking of the classes i'm going to take next term as long they're there. Nothing feels better than doing well in classes and earning points for Ravenclaw. Nothing wrong about being obsessive with earning points it's what got us the house cup. Like you Alex, I'm strategizing as to what classes I will be taking, in addition to taking my O.W.Ls. Both anxious and excited for them to come up and to get them out of the way! Other than classes, I'm excited about the books coming up in HOL Book Club. If you're a reader, it's a great place to get in touch with readers that have the same, or slight, taste as you. I'd say that HOL is going to be my "saving grace" for next year from my RL, big time! I'm really excited for next year! Having only had a semester to be here, I'm eager to experience an entire school year and all that it has to offer! Being a reserve is going to be an adventure, and I might be a class assistant as well. Of course then there's the Quidditch practice so I can be way better than I am now. BUT before that all starts, I'm excited for everything that's going to be going on in July! I'm both excited and not excited for next year. I'm excited because it's always fun to take new classes and have new adventures. It's my first full year as a Head Student, so I'm looking forward to that as well. However, it's bittersweet because next year will be my last year as a student. And that makes me sad . I am both excited and sad for this next year. I'll be sitting my N.E.W.Ts this coming year which means I finally made it to my seventh year. But on the other hand...I'm a seventh year. It'll be my last year as a student and I don't know if I'm quite ready to leave my eagle perch and fly just yet. I spent the first half of my years with my head in a book and doing nothing but studying. Then I became a prefect and realised this whole other side of HOL that I was missing! 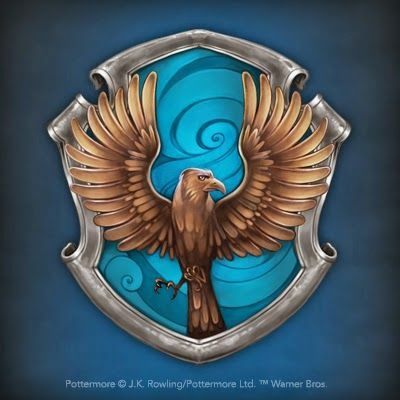 I just got in the groove of being a truly active and participating member of Ravenclaw house. How can I be ready to already say goodbye? Yet, how can I not be? I have an amazing house that has been there whenever I had questions or was in need of a 'nerd out' moment that they would get. I've grown so much from knowing my fellow eagles and HOL peoples, even if it's only been a fraction of my time here. I know I'll be ready when that final year ticks over and I graduate. I'm coming into the final leg of my seven year journey and I couldn't be happier, or sadder than I am now. I am so very excited for next year! It'll be my third year at HOL, so nothing special, like first one or last, but I can't wait to get into a bind trying to pick 5 classes for the first term. There are some I hope make a comeback, and some new ones I really wish I could take. There are some uncertainties, crossroads in my RL at the moment, so like Hannah said, HOL will be my saving grace in the upcoming months. Since I am a squib, I imagine it'll be a bit lonely until February, when I can join a house, but I'm hoping that classes and HOL/House activities will keep me busy until then. I know I'm already enjoying summer camps in all of the houses. One thing I am not looking forward to...pink username whole year long. I know I speak for all Raves - you never have to be lonely Maxim, because you're always welcome here! BONUS: as a squib, your username won't be pink here either! A "Cassie Sig" is priceless - thank you so much! That's is one thing I like about being a squib. In no house do have color. No pink, just black, grey or green. I like it! I can't believe I haven't offered you some muffins - Rowena's special recipe! And while your mulling things over, you should seriously consider purple - it goes with everything! No, not the muffins! My only weakness. They are chocolate-y right? I mean, I love them all, but chocolate has a special place in my heart. I like purple! It is the color of squidbs, so I will spend at least 6 months in it. I was thinking more in line with prefect purple. Location: Sitting beside the Lake, watching for merpeople.